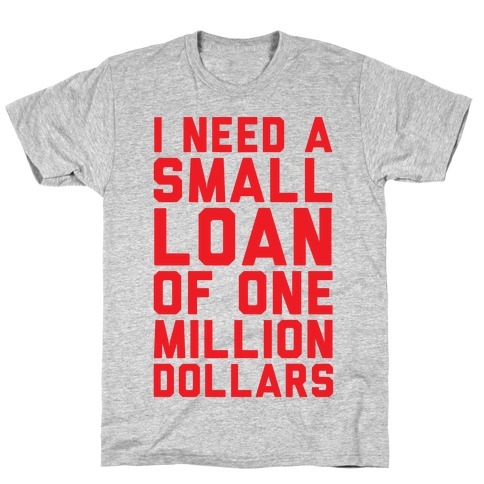 Browse our collection of 24 Liberal T-Shirts and more. Designed and printed in the USA. 100% Satisfaction Guaranteed. 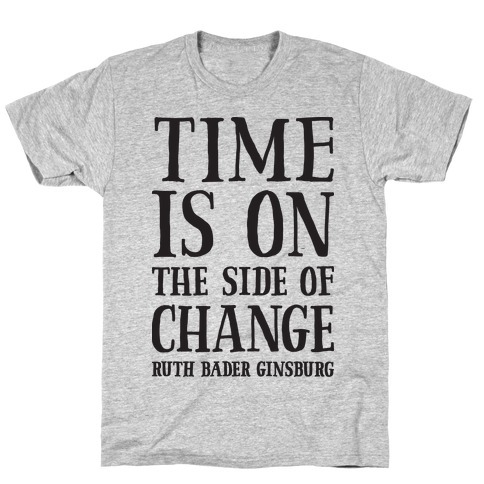 About this Design Show the world that, "Time Is On The Side Of Change" with this supreme court justice, Ruth Bader Ginsburg quote! Perfect for loving RBG, progressives, liberals, feminists, and inspiring political quotes! 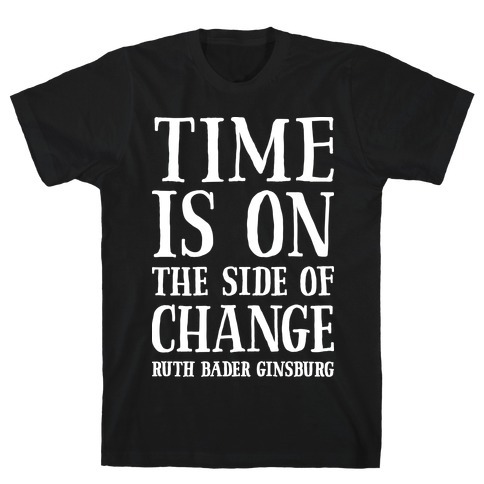 Show the world that, "Time Is On The Side Of Change" with this supreme court justice, Ruth Bader Ginsburg quote! Perfect for loving RBG, progressives, liberals, feminists, and inspiring political quotes! About this Design Get to the polls or get out my face! 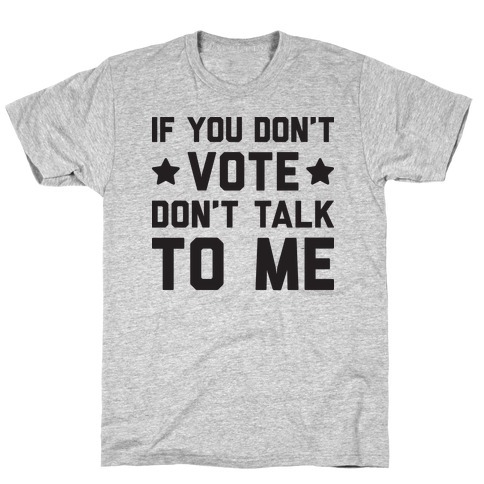 Show that people that don't vote don't need to waste your time with this, "If You Don't Vote Don't Talk To Me" political design! Get to the polls or get out my face! 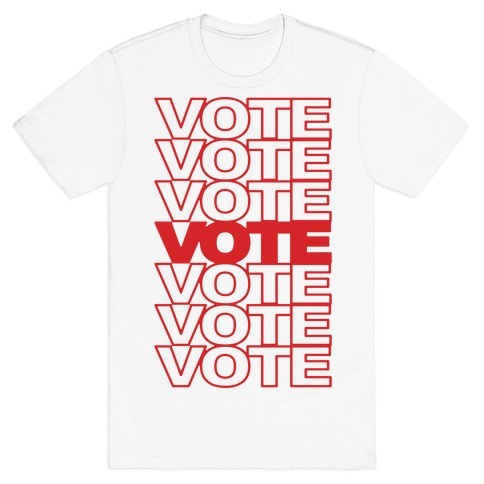 Show that people that don't vote don't need to waste your time with this, "If You Don't Vote Don't Talk To Me" political design! About this Design Show the importance of voting with this thank you grocery bag inspired, voting shirt! Let the world know how insanely important it is to vote every chance you get because it's up to use to make the world a better place and the place to do that is at the polls! Show the importance of voting with this thank you grocery bag inspired, voting shirt! Let the world know how insanely important it is to vote every chance you get because it's up to use to make the world a better place and the place to do that is at the polls! 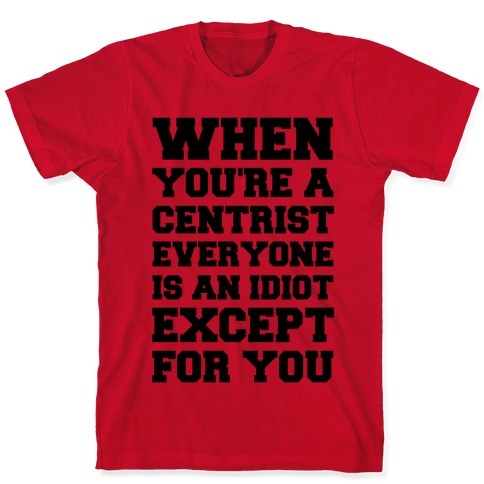 About this Design When you're a centrist everyone is an idiot except for you. How convenient. Show that you're not picking sides with this centrist inspired design. When you're a centrist everyone is an idiot except for you. How convenient. 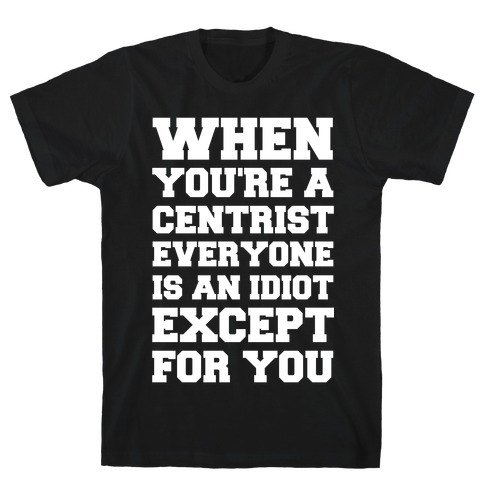 Show that you're not picking sides with this centrist inspired design. About this Design Not Left, Not Right, Just Forward. 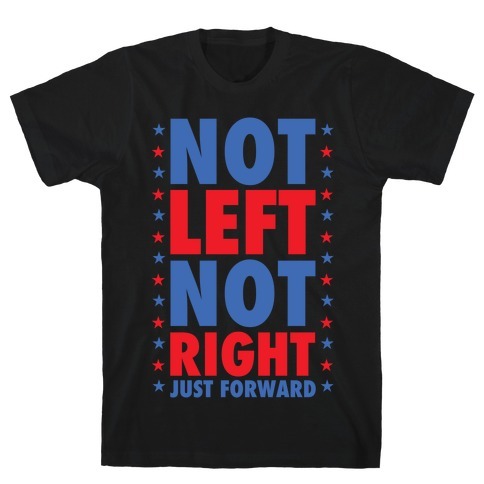 Show that you choose progress over political affiliation with this centrist inspired design. Not Left, Not Right, Just Forward. 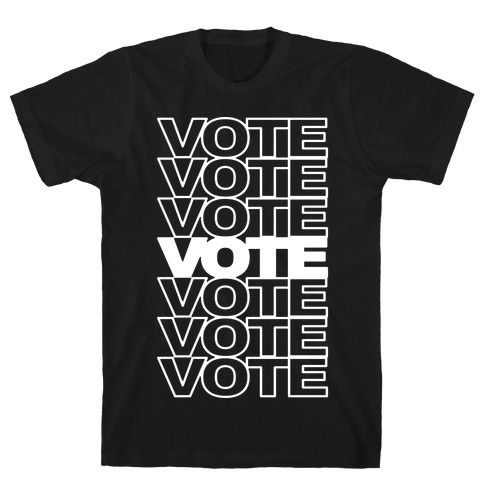 Show that you choose progress over political affiliation with this centrist inspired design. About this Design You may not be perfect, but if you have one thing going for you when it comes to politics it's that you are not a democrat, liberal or hippie. That's something to be proud of in this day and age. 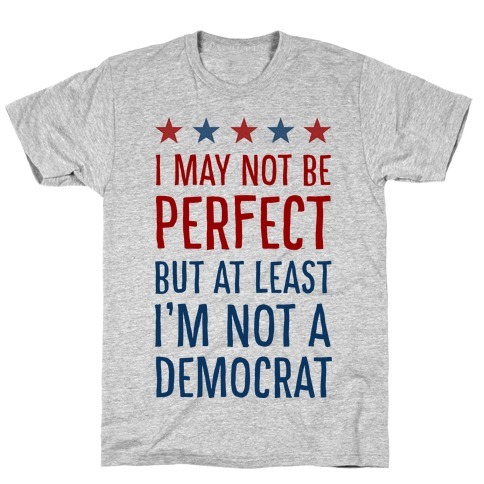 So celebrate with your conservative, libertarian, republican, tea party, or w/e friends with this politically perfect "I may not be perfect but at least I am not a democray" shirt! About this Design Liberal snowflake? Pfftt... I'm a whole Liberal Snowperson! Show off your progressive values and fight for human rights with this, "Liberal Snowperson" political design! Perfect for being a liberal, special snowflakes, winter , Christmas parties, progressives and social justice! Liberal snowflake? Pfftt... I'm a whole Liberal Snowperson! 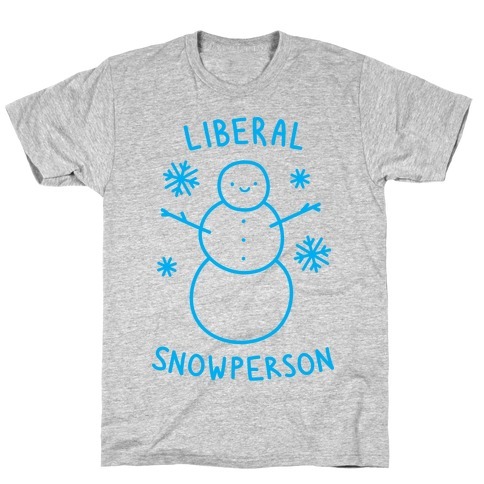 Show off your progressive values and fight for human rights with this, "Liberal Snowperson" political design! Perfect for being a liberal, special snowflakes, winter , Christmas parties, progressives and social justice! 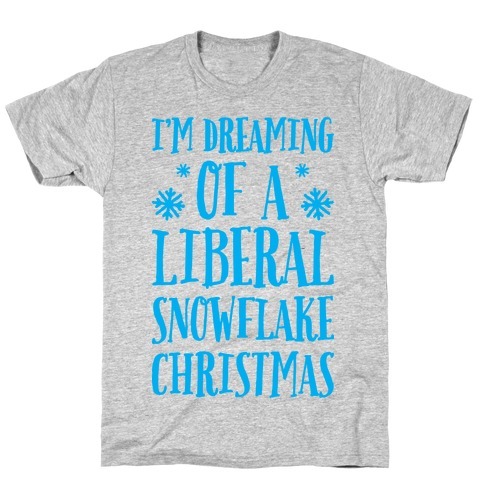 About this Design Get frosty with your liberal snowflake self this Christmas with this, "I'm Dreaming Of A Liberal Snowflake Christmas" Christmas design! Perfect for a progressive, liberal, special snowflake, Christmas , and Christmas parties! 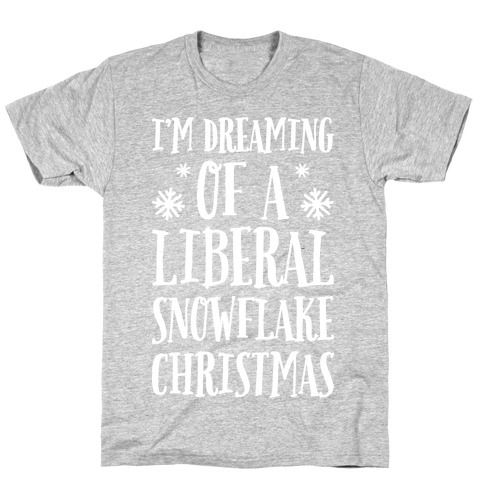 Get frosty with your liberal snowflake self this Christmas with this, "I'm Dreaming Of A Liberal Snowflake Christmas" Christmas design! Perfect for a progressive, liberal, special snowflake, Christmas , and Christmas parties! About this Design This gun lover shirt features the words "I lubricate my guns with liberal tears" and is perfect for gun lovers and people who love conservatism, small government, libertarians, the constitution, freedom, the free market, capitalism, american exceptionalism, and showing your disdain for democrats, socialists, and liberals at school, college, work, or at home! 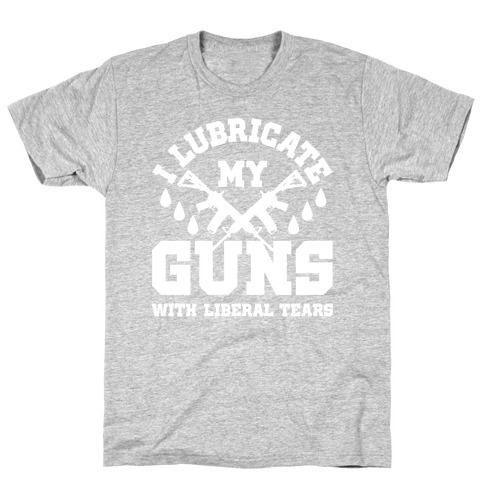 This gun lover shirt features the words "I lubricate my guns with liberal tears" and is perfect for gun lovers and people who love conservatism, small government, libertarians, the constitution, freedom, the free market, capitalism, american exceptionalism, and showing your disdain for democrats, socialists, and liberals at school, college, work, or at home! About this Design Wear it loud and wear it proud. You know what you are, and that's a democrat. You believe in the betterment of the people and social, physical, and better wellness for all man kind. You know people need a helping hand and no greedy republican can tell you otherwise. So for all you filthy bleeding heart liberal hippie democrats, this shirt is for you! Wear it loud and wear it proud. You know what you are, and that's a democrat. You believe in the betterment of the people and social, physical, and better wellness for all man kind. You know people need a helping hand and no greedy republican can tell you otherwise. 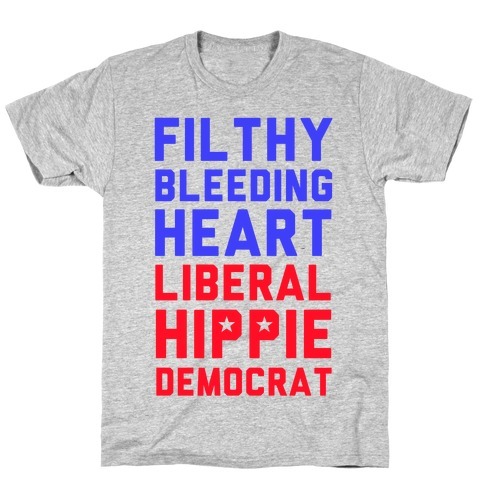 So for all you filthy bleeding heart liberal hippie democrats, this shirt is for you! About this Design You are not an ordinary member of the democratic party, you are the OKAYEST democrat. No liberal or democrat can be quite as okay as you are. 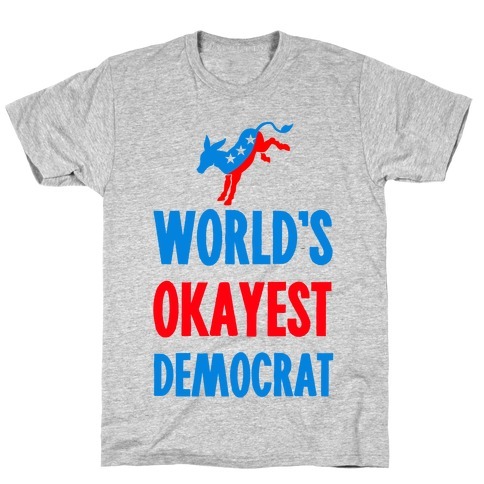 So for the 2016 presidential election, this awesome democratic party tee will let everyone know you are pretty okay! About this Design Show the importance of voting with this thank you grocery bag inspired, voting shirt! Let the world know how insanely important it is to vote every chance you get because it's up to use to make the world a better place. Show the importance of voting with this thank you grocery bag inspired, voting shirt! Let the world know how insanely important it is to vote every chance you get because it's up to use to make the world a better place. 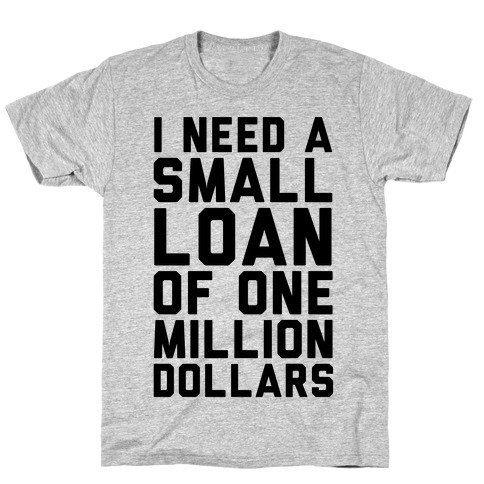 About this Design This political shirt is perfect for the liberal democrat who knows that we all could use a loan of one million dollars! Pay of your student debt or just regular debt, start a company and then try to run for president when you think America isn't that great! Support your fellow friends with this political . This political shirt is perfect for the liberal democrat who knows that we all could use a loan of one million dollars! Pay of your student debt or just regular debt, start a company and then try to run for president when you think America isn't that great! Support your fellow friends with this political .